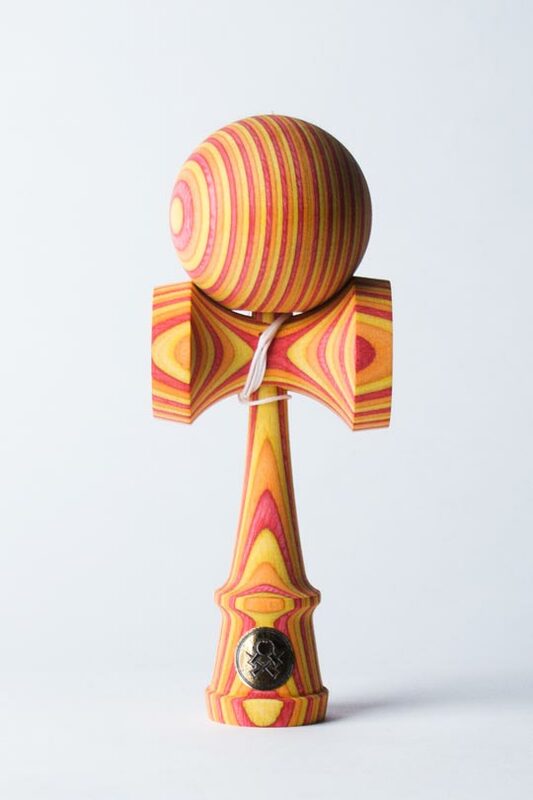 Layers of dyed and laminated birch create the vibrant spectrum of colors seen once the Ken and Tama are turned. Homegrown products are manufactured with care by a precision woodworking facility in our home state of Minnesota. Comes with an extra string, bead, and stickers. Ken and Tama are weight matched to within at least 10g of each other.